Viknesh Vijayenthiran May 29, 2018 Comment Now! 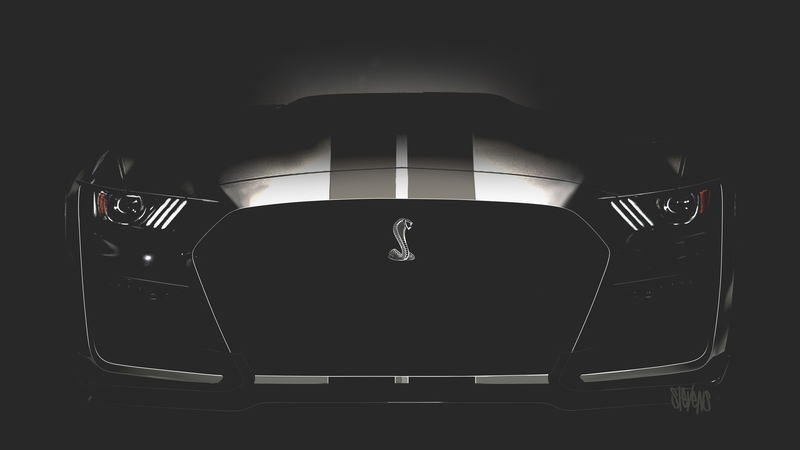 Ford will launch a Mustang Shelby GT500 next year and the automaker has just dropped a new photo. 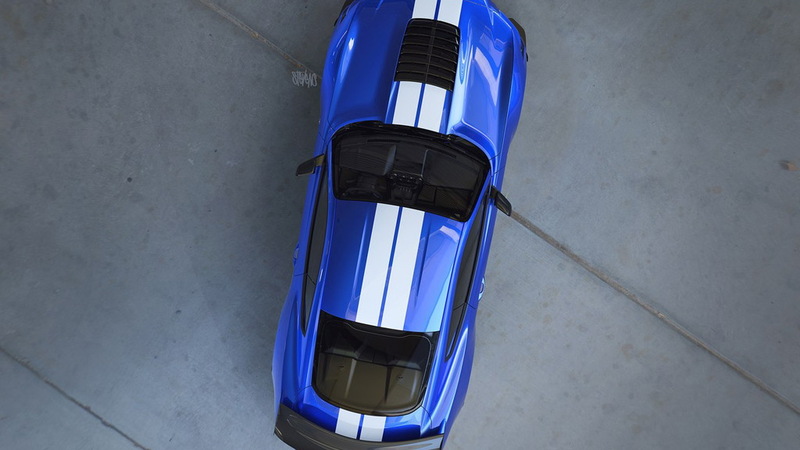 This time it isn't a shadowy teaser we're talking about but a clear shot giving us a bird’s-eye view of the 700-plus-horsepower super muscle car. It joins a previous teaser shot and video, as well as our own spy shots of prototypes. Clearly visible is the car's new vented hood, which has been designed to keep the 5.2-liter supercharged V-8 residing beneath cool. 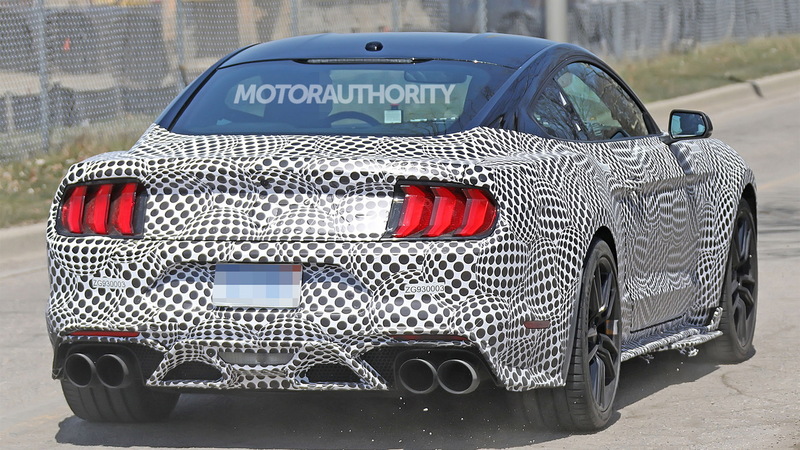 The engine will feature a cobra snake logo on its supercharger housing and is expected to skip the flat-plane crank of the naturally aspirated 5.2-liter V-8 Ford uses for its Mustang Shelby GT350. All Ford will say is that the engine will bring more than 700 horses. 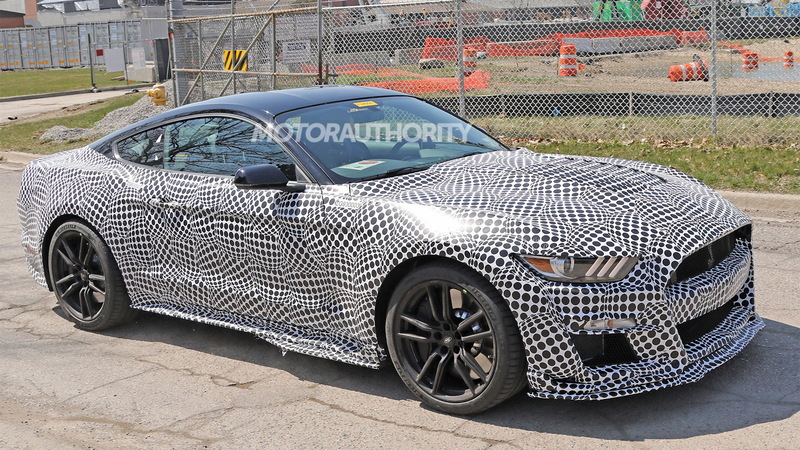 Getting back to the teaser, we also get an impression of the widened front fenders along with a glimpse of the front splitter, which we know from spy shots will be joined by a pair of dive planes. A massive wing, in carbon fiber, can be seen at the rear. The focus on downforce suggests a level of a capability beyond just the drag strip. Key competition for the Shelby GT500 will be the Chevrolet Camaro ZL1 1LE and Dodge Challenger SRT Hellcat. The rival models deliver 650 and 707 hp, respectively. Given the improvements Ford has made with its latest Mustangs in the areas of ride and handling, the car may also lure some buyers of pricey sports cars like the Mercedes-AMG GT and Porsche 911. The previous-generation Shelby GT500 impressed us with its combination of power and civility, though still left us wanting more. It doesn't appear that that will be the case this time around. Stay tuned.